New Jerseyans are on the hook for well over $10 million in legal expenses stemming from the scandal. Last month, a Rutgers-Eagleton poll of registered voters put New Jersey Gov. 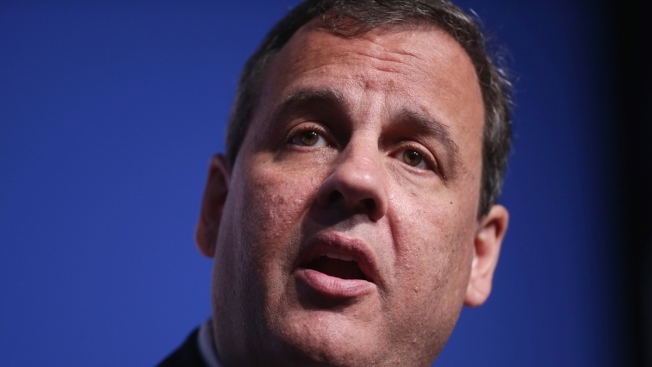 Chris Christie's approval rating at 26 percent. A New Jersey lawmaker says the scandal has further eroded citizens' confidence in government. With soaring approval ratings and prospects of a landslide re-election in the fall of 2013, it appeared little could slow New Jersey Gov. Chris Christie's political ascension. Then came the traffic cones. It likely took a matter of minutes for police to move them on the morning of Sept. 9 and reduce an approach to the George Washington Bridge from three lanes to one. Three years later, the repercussions linger - for the Republican governor and others. Next month, one of his former aides and a former top appointee to the agency that operates the bridge into New York City go on trial for allegedly causing gridlock in neighboring Fort Lee, New Jersey, to punish a Democratic mayor for not endorsing Christie. New Jerseyans are on the hook for well over $10 million in legal expenses stemming from the scandal, the bulk of it billed by Gibson, Dunn and Crutcher, a law firm that has represented members of Christie's office who have been subpoenaed by the U.S. attorney's office or by a state legislative committee. The firm also authored a March 2014 report that absolved Christie of blame, though it didn't interview several people at the heart of the alleged scheme. A special state legislative panel investigating the lane closures racked up about $1 million in legal fees. Its report issued in December 2014 also concluded Christie didn't know about the plan to close the lanes. Christie's approval rating hit 70 percent in a Monmouth University poll early in 2013, a residual effect of his high visibility and round-the-clock efforts in the aftermath of Superstorm Sandy. By June 2014, that number had fallen to 50 percent, and by May 2015, to 35 percent. Last month, a Rutgers-Eagleton poll of registered voters put his approval rating at 26 percent. Perhaps more telling, 69 percent of people polled by Monmouth University in May 2015 felt Christie hadn't told the whole truth about the scandal. That month, an indictment charged former Port Authority of New York and New Jersey executive Bill Baroni and former Christie deputy chief of staff Bridget Kelly with wire fraud and civil rights violations. The bridge scandal "has completely altered the trajectory of Chris Christie's career," said Ben Dworkin, director of the Rebovich Institute for New Jersey Politics at Rider University. It broke open just as Christie was embarking on his second term with a clear mandate, Dworkin said. His unsuccessful presidential run took more time away from tackling key issues including public pensions, funding for transportation projects and property tax relief. "The impact is that New Jersey hasn't really been dealing with its biggest issues until the presidential campaign ended for Christie," Dworkin said. "And that meant two-and-a-half years of circling the runway." At an event Friday, Christie reiterated he had no role in the scandal and scolded reporters for harping on it. "I know you guys all hope for this story to go on forever. But unfortunately for you, I suspect by the time we get to October or so, it will finally be over," he said. Assemblyman John Wisniewski, a Democrat who co-chaired the committee investigating the lane closures, said the scandal has further eroded citizens' confidence in government. He added an ironic twist to the story. The Assembly transportation committee he chaired had been stonewalled in a separate probe of the Port Authority regarding steep toll hikes at its bridges and tunnels. Granted subpoena power, the committee was able to pry loose key documents when the bridge story broke. "Had the Port Authority simply complied with the requests, there probably wouldn't have been a rationale for the committee to get subpoena power," Wisniewski said. One of the thousands of documents eventually released to the public was the infamous "Time for some traffic problems in Fort Lee" email sent by Kelly in August 2013. Michael Patrick Carroll, a Republican who served on the investigative committee, said the panel should have spent more time on a broader investigation into the Port Authority. "If legislation could have sprung from it, then it would have been a proper investigation," Carroll said. "Just to investigate the events struck me as not having a specific legislative purpose." The Port Authority already was under scrutiny in the fall of 2013 over the toll hikes and a damning 2012 auditor's report. Revelations about the bridge lane closures hit particularly hard. "When I arrived here almost two years ago, morale was very low," said John Degnan, the agency's chairman. "Some longtime employees said they were embarrassed to tell their neighbors where they worked." Degnan said the climate has gradually improved as the Port Authority pushes ahead with several multibillion-dollar projects, including redevelopments of LaGuardia and Newark Liberty airports and a new bus terminal in Manhattan. The agency's credit rating remains strong, and bond offerings still "get a very strong reception in the marketplace," he said. The scandal's impact may be more subtle. While internal efforts have produced changes, a search for a new chief executive officer has dragged on for more than a year. "I think the cloud that the Port Authority has operated under, and the absence of permanent reform legislation, is a deterrent to someone who wants to come into the agency," Degnan said. "Any time you have an incumbent sitting there as a lame duck, an agency doesn't respond as effectively and it's harder to hire people and get them to stay."